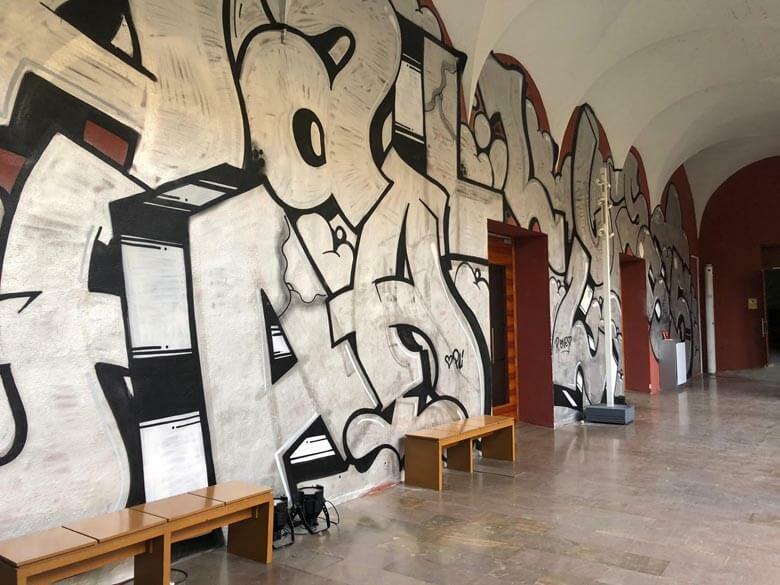 The exhibition that took place prior to PichiAvo‘s participation in the municipal Falla was enveloped in controversy because of an act that vindicates graffiti in its purest state. 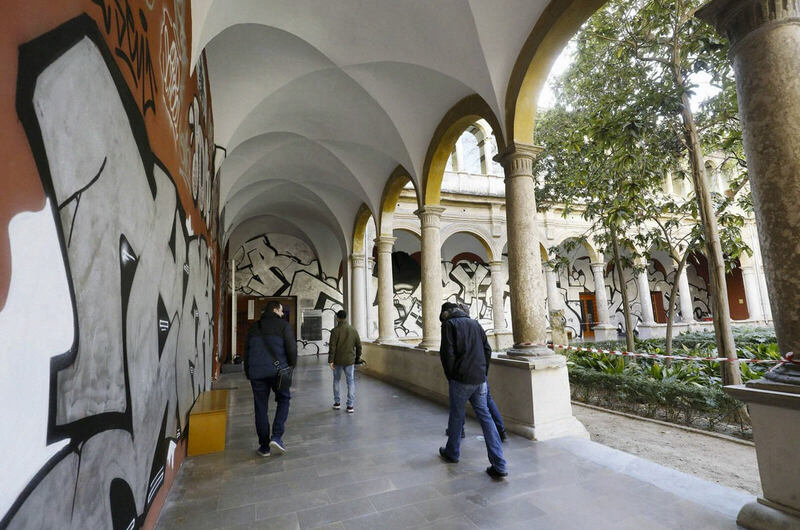 The Center del Carme is a convent from the 13th century whose monastery walls host the art installations for the exhibitions held in the building, and it’s precisely where the duo, PichiAvo, executed a piece entitled, “Eureka”. The team of Levantine artists, whose painterly style is characterized by explosively mixing classical art with the more street-like aesthetics of graffiti, wanted to take it all one step further with regards to graffiti by means of a risky proposal. It was so risky that, not only has been condemned and censored, but it’s even been brought to the courts of law. 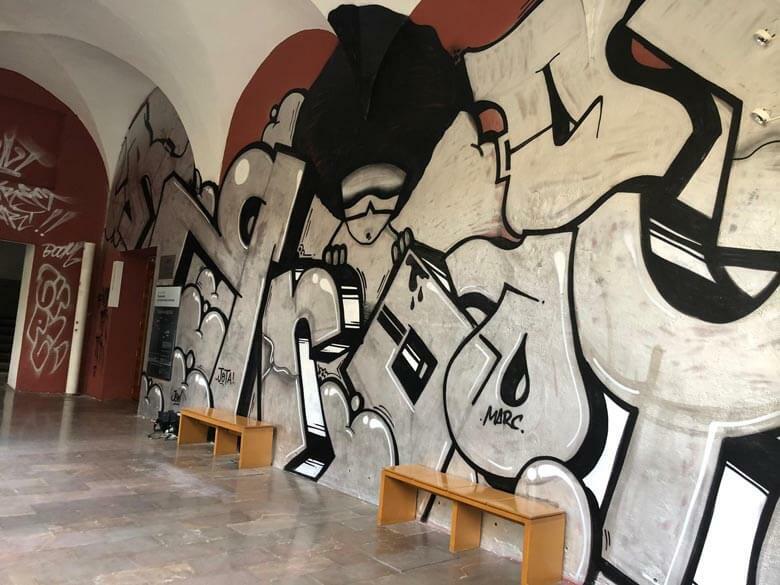 With the aim to pay tribute to the purest and most basic form of graffiti, PichiAvo decorated the walls of the monastery with stacks of pieces, throw-ups and tags done only in silver, black and white paint. 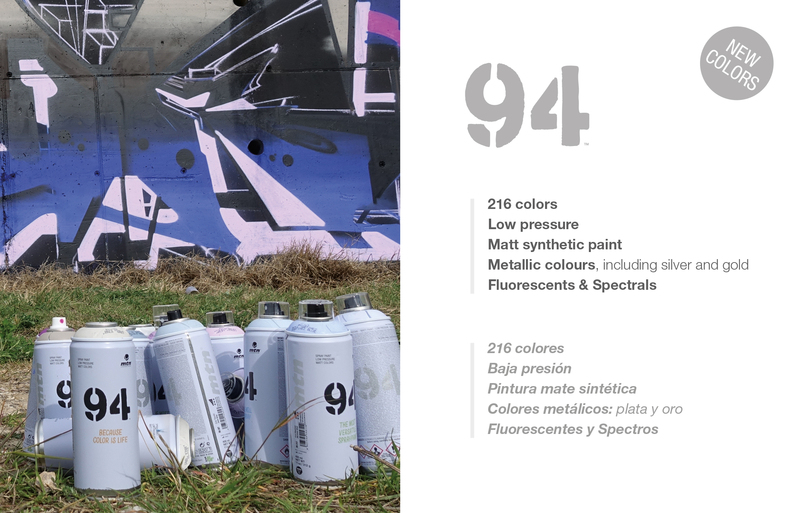 The project was done in collaboration with the TFK crew, a historically acclaimed graffiti crew from the Valencian scene, which is the underlying conceptual basis that grants the act a certain amount of street credibility. The group session is a performance in itself and in fact, it was recorded in a video and published on PichiAvo’s YouTube channel, portraying the act as if it were a clandestine one. The intentional result was more typical to that of an occupied building than of a Renaissance cloister, and it’s caused an uproar in groups such as the Partido Popular in Valencia, and the UGT trade union itself, which has even filed a lawsuit regarding the supposed undermining of cultural heritage. 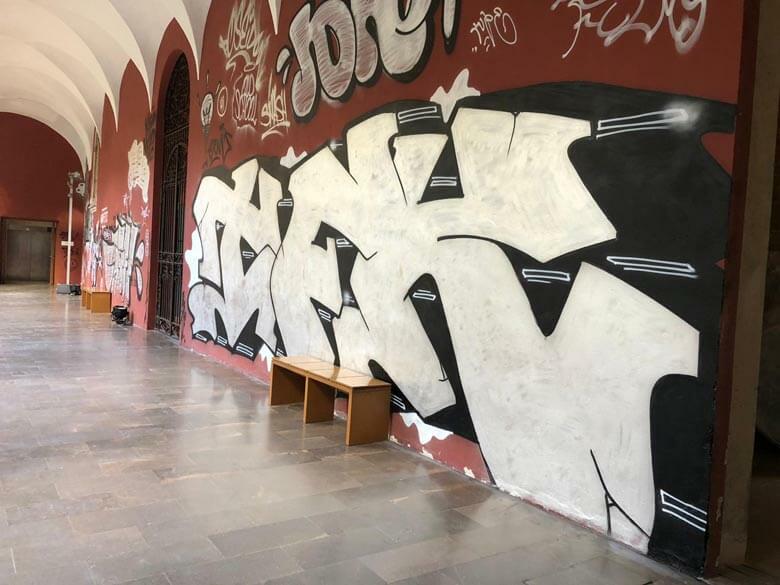 It’s an exaggerated commotion if you consider that, as the director of the space José Luis Pérez Font clarifies, “neither the law has been breached nor the patrimony damaged”, since the artistic acts on those same walls are renewed periodically. 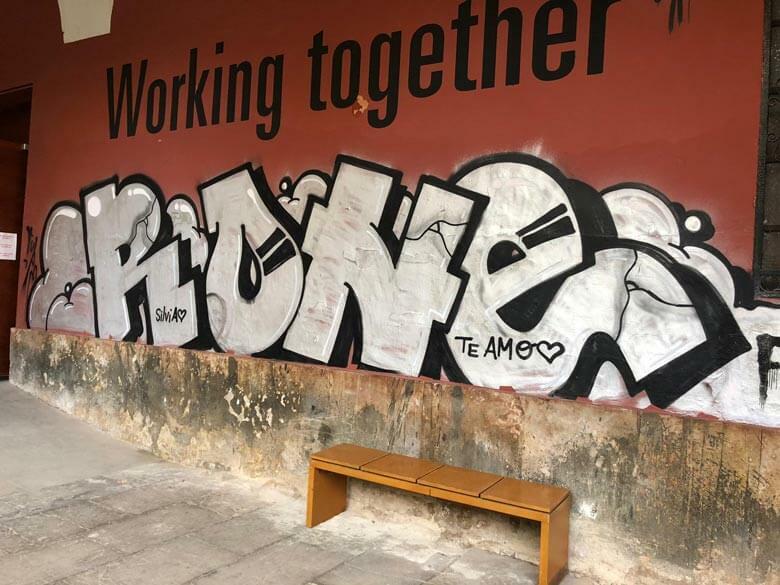 This amusing anecdote allows us to reflect on the various aspects of the valuation of art, and in particular, street art within the Spanish state. 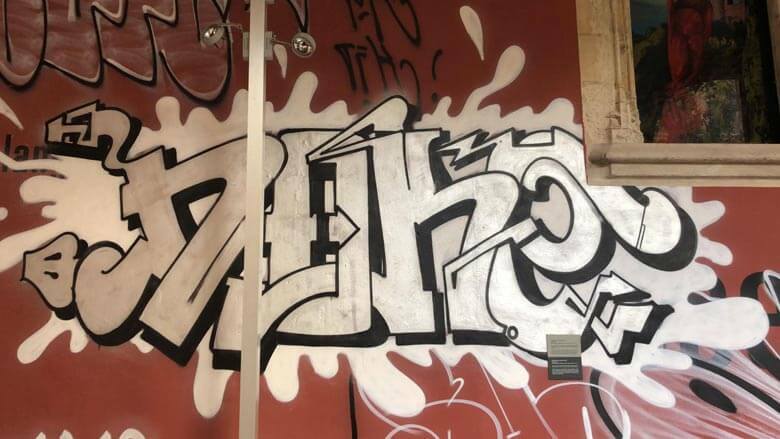 The artistic use of street graffiti aesthetics is not something new that lies outside of our perceivable limits. 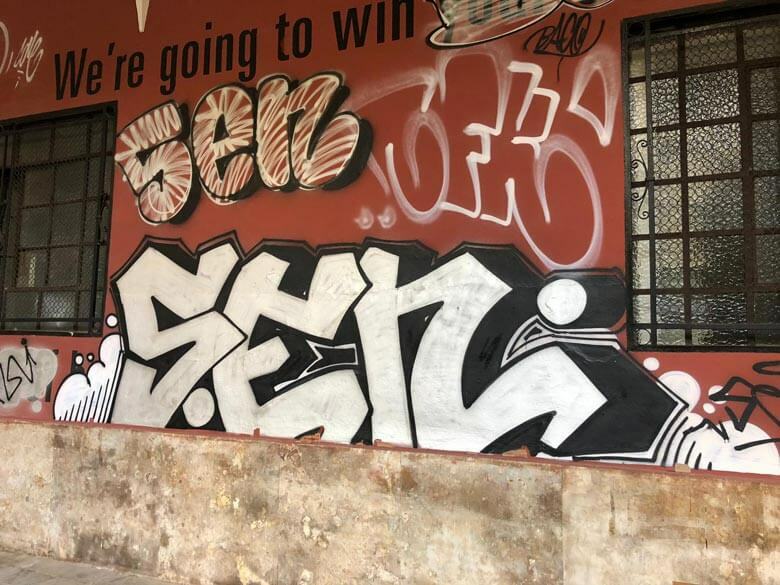 There are numerous examples we could mention, but the most extreme perhaps was the mural painted on the Houston Bowery Art Wall in New York in homage to the late Sacer IRAK. The mural featured a devastating throw-up done with a fire extinguisher that never even caused great controversy. It seems that on Spanish soils this exclusively aesthetic frontier about what is and what ceases to be acceptable art is still very prevalent, seeing as though the work doesn’t portray any explicit messages or symbology that could ideologically offend anyone. What is most surprising is that this censored inertia didn’t only come from the most conservative crowds, which is somehow understandable considering that we are currently in the pre-campaign period of municipal elections. 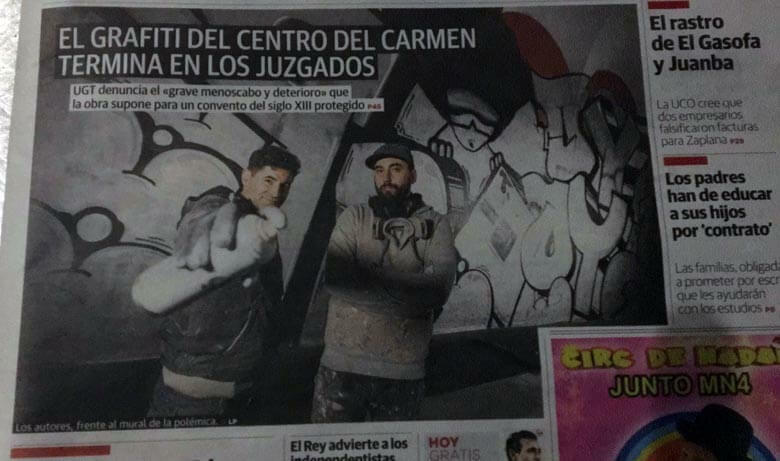 All this being said, it’s also important to bear in mind that the Valencian Community is the Spanish region with the greatest tenacity in persecuting illegal graffiti writers.